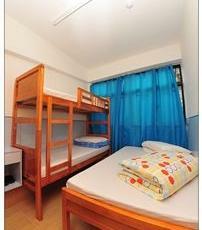 A-INN is a place to go for backpackers and budget travelers situated in the middle of Mong Kok. Safe, easy and instant online bookings powered by . Lowest prices, no booking fees. If you find A-Inn Hong Kong at a lower rate somewhere else after you have booked, we will refund you the difference. Perfectly located inside the middle of mong kok. there is always some thing going on on the streets, nonetheless you got your quiet. really small room, like inside the pictures. but that&'s hong kong style. free water, good wifi, access to roof top. gorgeous view. Nice welcome. Just near Mong Kok station so convenient and exceptional environment on street Staff nice and accomodating. Central location, clean. Friendly staff. To actually uncover this location once you are at 83 Argyle st keep walking as if you were going up in numbers eg-85 get to the corner and turn left just a couple of metres on the left is another door with with 83 arglye street walk in there along with the lift is in on the right. The hostel is actually on the 14th floor, but you must take lift to 15th floor and walk down stairs to uncover the hostel. in 6mths from this date have a look at my website for travellers injourney. com. au ciao! Friendly customer service. Good value for your money. Good location. Clean and they&'ve got the basics right. More privacy. The room was within the another building from the reception. It was like a rental apartment. Really central and handy for the MTR. Employees were so nice and helpful- we arrived early inside the morning right after a 30-hour train journey, and they made sure we could have hot showers and clean towels straight away. There was even shampoo and shower gel available! Excellent wi-fi access inside the room. I liked the fact that it was in an apartment- almost made it feel like coming home! Great Location, We stayed for one night. Fantastic location as well as the region will have everything youll need. This hostel has a fridge you can use and cold and hot water for your beverage needs. Our room was small and clean and had no window. Wi-Fi worked within the room, but was a bit slow. We have previously stayed at another place within the Mirador Mansion Building in Tsim Sha Tsui, which was a greater place for us, because of the price, the large window and Wi-Fi speed. The location is extremely central. The room is of very good value. Availability of WiFi was extremely convenient, it should be included inside the hostel information. The fridge and hot drinking water kettle inside the common region are extremely useful. * A-Inn Hong Kong rated 4.22 out of 5 based on 9 customer reviews. Hostel reviews with a star rating are sourced from HostelBookers. If you find A-Inn Hong Kong with the same booking conditions at a lower rate somewhere else on the internet after you have booked, we will refund you the total difference.